This independent self drive holiday offers plenty of opportunity to tackle a range of scenic hikes as you discover waterfalls, lakes and mountains, all at your own pace. Explore the many walking trails British Columbia has to offer, from the lush valleys of the Okanagan region to the alpine resorts of Whistler and Sun Peaks. Starting and finishing in the beautiful city of Vancouver, this circular self drive itinerary allows ample time to get out of the car and uncover the scenic highlights of BC on foot. Spend a night in Manning Provincial Park, at the heart of the Cascade Range, before heading away from the mountain peaks to the fertile vineyards and rolling orchards of the Okanagan region. Continue your journey to the popular ski resorts of Sun Peaks and Whistler. These are transformed in the summer, offering multiple walking options as well as the chance to spot wildlife and try a wealth of other activities including kayaking and mountain-biking. Along the way stop to take your pick of trails, from short scenic strolls and easy lakeside walks to more challenging alpine hikes. 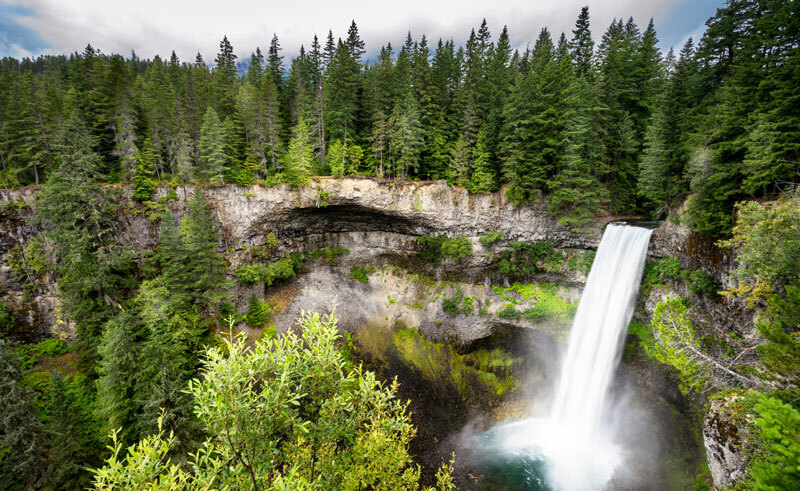 Take in waterfalls, mountain-tops and even a former railway line, breathe in the fresh Canadian air and keep your eyes peeled for wildlife as you wander through the best of British Columbia's magnificent landscapes. Arrive in Vancouver and spend the day exploring the city at your leisure. This morning collect your rental car and drive east to the Golden Ears Provincial Park for your first stop. The 2-hour Lower Falls trail is a great way to stretch your legs, and the view of the falls is fantastic, particularly in the spring season when the runoff from the surrounding mountains is surging downstream. Continue driving to Manning Park Resort located in the middle of Manning Park. The trailheads for several hikes are accessible from the resort, including the gentle Lake Loop circuit around Lightning Lake. Today travel into the Thompson Okanagan region, famed for its orchards and vineyards as well as its varied landscapes. Varied landscapes, panoramic views and historic sites make for infinitely interesting hikes around Kelowna. 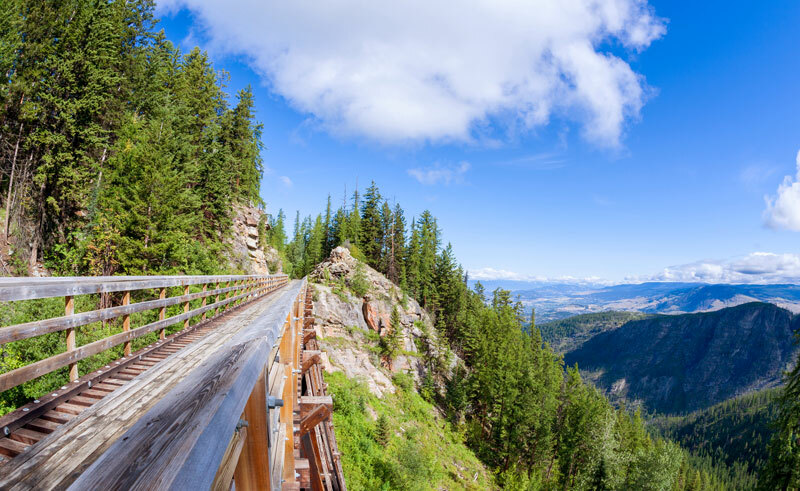 The Kettle Valley Railway (KVR) trail, which is part of the Trans-Canada trail, is an easy high-country walk. The 12km section of the trail between the former Ruth Station and Myra Station features reconstructed wood-frame trestles, two steel bridges, and two tunnels. Bring a camera to capture the valley views. Depart the Okanagan Valley and drive to the alpine resort of Sun Peaks. 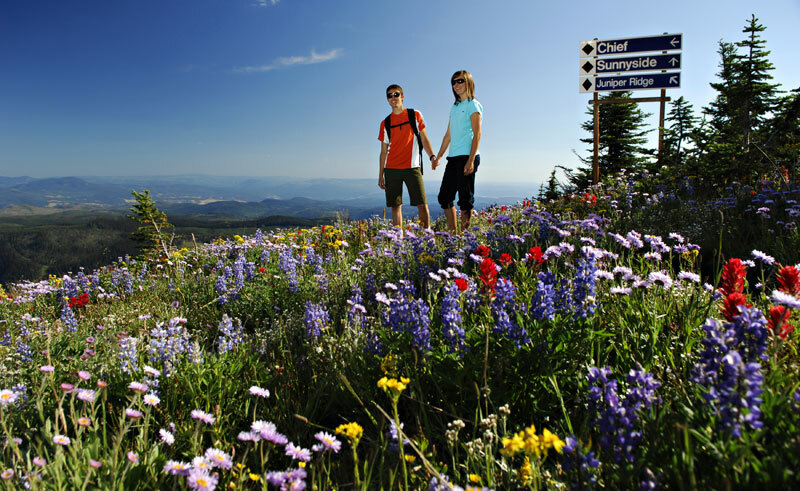 Sun Peaks' hiking trails are designed to accommodate varying levels of fitness and experience so that all visitors can enjoy the unique experience of alpine hiking. Here you will find an endlessly diverse terrain with flat areas, gradual inclines and steep climbs, not to mention a vast mountain-top trail system accessible by ski lifts. In summer the mountains become a kaleidoscope of colour with wildflowers like with Artic lupin, dwarf dogwood, fireweed and larkspur. Wildlife sightings may include blue herons, bald eagles and hummingbirds, as well as bears and coyotes. Begin the day travelling along the Logan Lake route to the gold rush town of Cache Creek and historic Hat Creek Ranch (entrance included). Continue the journey south to Lillooet and 'Mile Zero' of the Old Caribou Wagon Road – evidence of the gold rush years is ever present in this area. Continue on the Duffey Lake Road to Whistler, perhaps stopping at Nairn Falls for a short walk (approx. 1 hr). The rest of the day is free to explore Whistler. 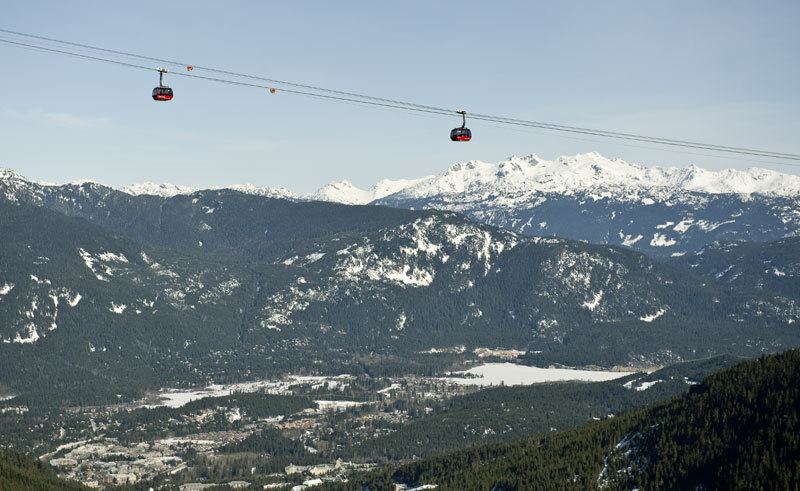 Today take the Peak 2 Peak Gondola, an engineering marvel that crosses the valley to link Blackcomb and Whistler mountains. As you ascend you will be treated to breathtaking views of glaciers, extinct volcanoes and snow-capped peaks. 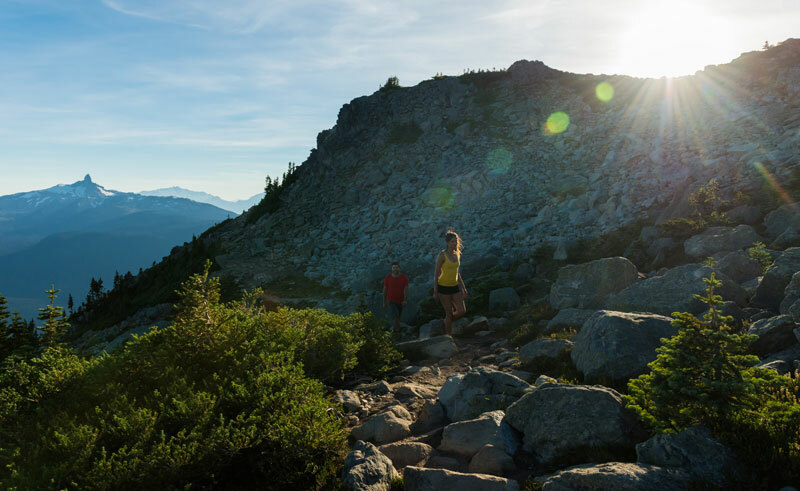 More than 50 km of alpine hiking trails await you, including the highly recommended High Note Trail which offers scenic views of Cheakamus Lake in Garibaldi Provincial Park (9.5 km). Depart Whistler for Vancouver along the Sea to Sky Highway. Brandywine Falls is a great stop, with just a 10 minute walk to view the spectacular 70 m high falls. Other scenic points along the highway include the cascading Shannon Falls and the Stawamus Chief Rock. The granite Chief towers high above the town of Squamish and is a popular hiking and climbing destination – you can hike all three peaks of the Chief within a day, or just explore the shorter South Peak trail. End your day with a celebratory dinner in Vancouver. Check out and return your rental car today. 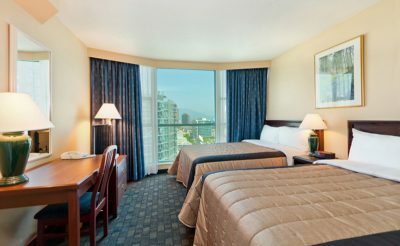 Located in downtown Vancouver, close to trendy Yaletown, this 275 room suite-hotel is the perfect base from which to explore the city. Discover the interior of British Columbia, famous for its wineries and vineyards and an area of remarkable geographical diversity.